Is 29 just too old for Bollywood? Arijit Singh believes so. Hollywood is a difficult business to break into. It’s even harder to stay in the limelight. But, how difficult is Bollywood? Just ask Arijit Singh. Perhaps you’ve never heard of Arijit Singh. That’s okay. But in Bollywood as well as the Indian music industry, Arijit Singh is a big name. The Indian playback singer and music programmer launched his career in reality show Fame Gurukul. The reality show deals with audiences selecting the best pair of India’s best singers and performers. Winners received a contract with Sony, along with a Maruti Alto. 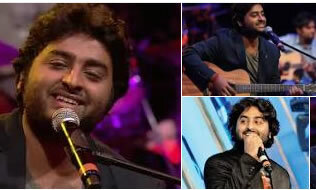 Arijit Singh lost at the finals, yet, he still became Bollywood’s top voice. Is there any way to avoid fading away into Bollywood history after just 5 to 6 years? There’s one possibility, though it’s notoriously difficult. Singh remains an idol for many aspiring singers. It’s unclear what his plans are after fading away from the Bollywood limelight.